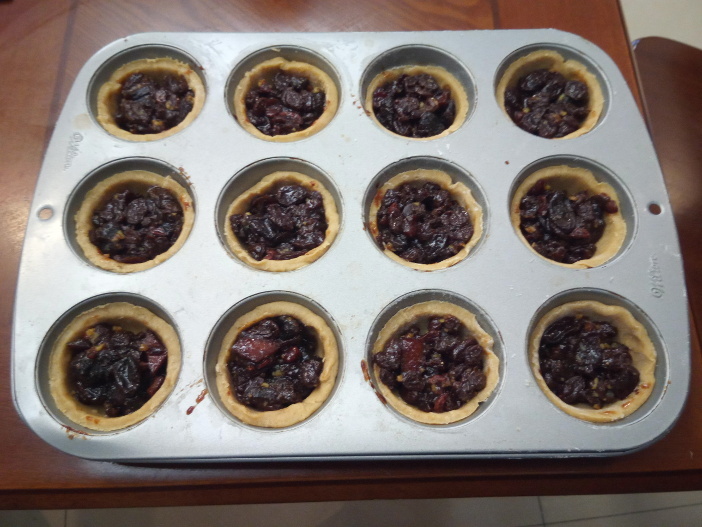 In the last enthralling episode of my mince pie quest, I succeeded in making mincemeat using ingredients available in Chinese supermarkets. Even if my editor said the photograph looked more like “a spittoon haha or a chum bucket.” Fortunately I am a professional so wasn’t upset by this at all, and just changed the picture. So I adapted Paul Hollywood’s recipe, using a mix of brown and white sugar instead of caster sugar. 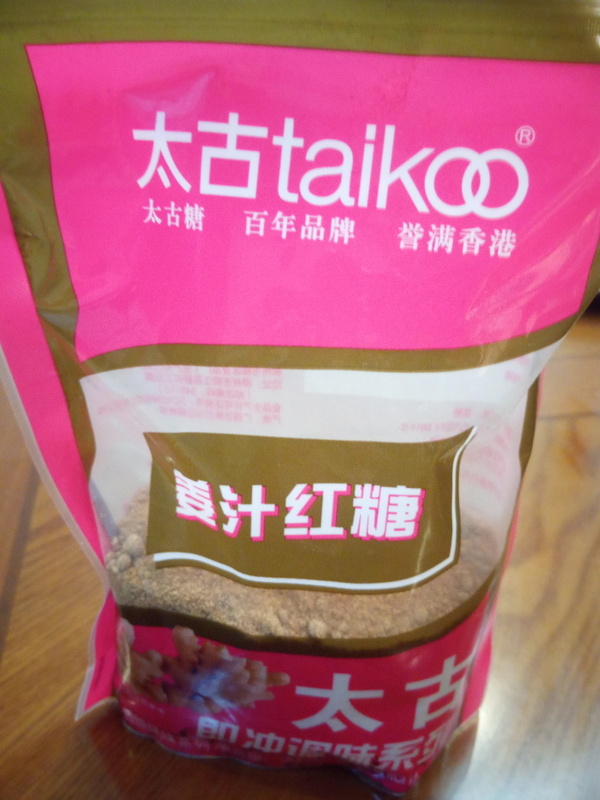 However I inadvertently used a uniquely Chinese ingredient, with very pleasing results. In my hurry to produce mince pies for you, dear readers, I accidentally poured in this ginger sugar which I’d bought as an experiment. Fortunately, the ginger worked well with the other flavors. 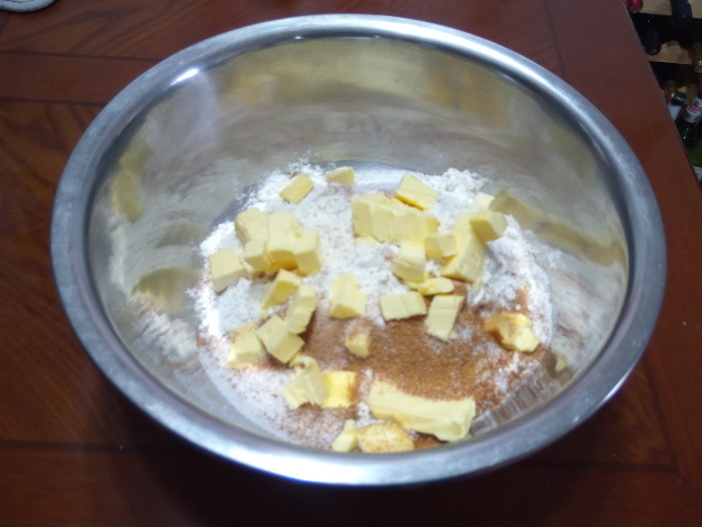 Mix 375g plain flour with 65g ginger sugar and 65g white sugar. To this add an 8 ounce stick of butter (227g), cut into small pieces (don’t throw the wrapper away, you’ll need it). Then you need to blend it in. I tried using a mixer, but there is no substitute for getting your hands in there and rubbing the butter into the flour and sugar. The texture you’re after is usually described as “breadcrumbs”. Once you’ve got the texture right, add a couple of tablespoons of water, and work that in too. Then wrap the whole wodge of dough in clingfilm and stick it in the fridge to chill for an hour or so. When you’re ready to get baking, start the oven warming to 180 degrees celsius (350 fahrenheit). 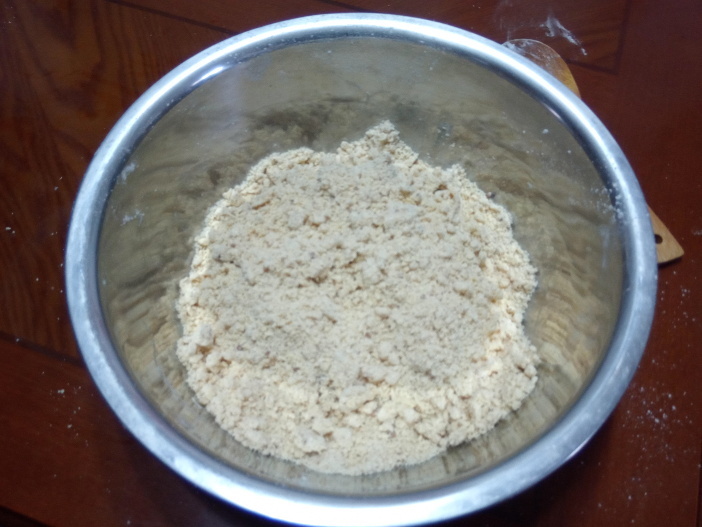 Put a spoon or two of flour on a wooden board, and wipe some of it across to cover the board. 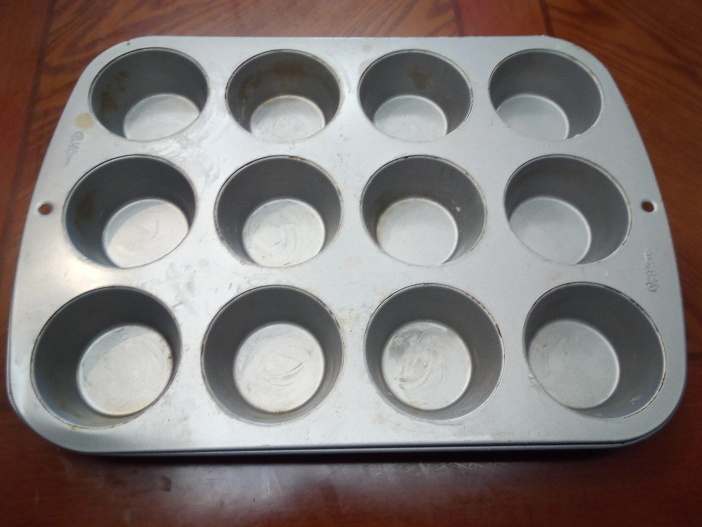 You’ll also need a rolling pin, a pastry brush, and a 12-hole muffin tin. Fortunately the vogue for baking means these can be obtained from malls or larger supermarkets. Grease the holes with the butter wrapper. Holes all greased and ready for action. Ahem. Pull off a chink of dough and dump it onto the board. It will look dry and crumbly. 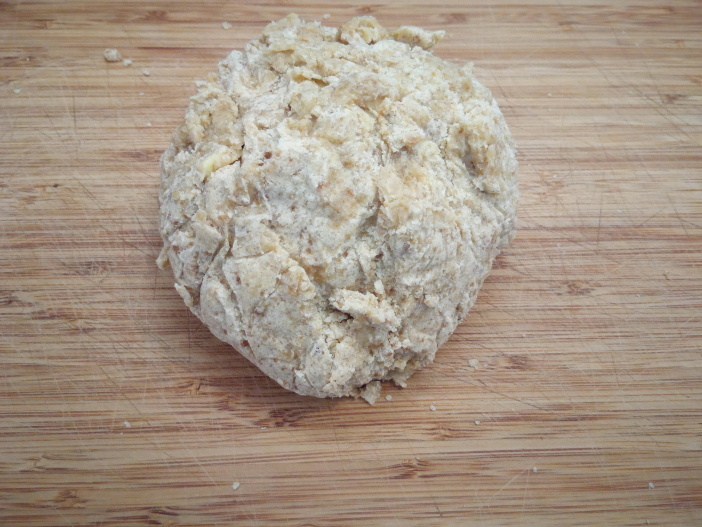 This is good – crumbly is the texture you want your dough to end up. Mash it down as best you can, and start rolling. You want to end up with pastry a few millimeters thick. Then you start cutting. You can get pastry cutters, but I just used different sized glasses for the base and the lid. Each time you might only get two or three usable pieces, but scoop it all up again, grab a fresh handful of dough, and mash it all together in your hands. Each time it gets easier to work. Make sure you keep dusting the board and the dough with flour, or it will stick. 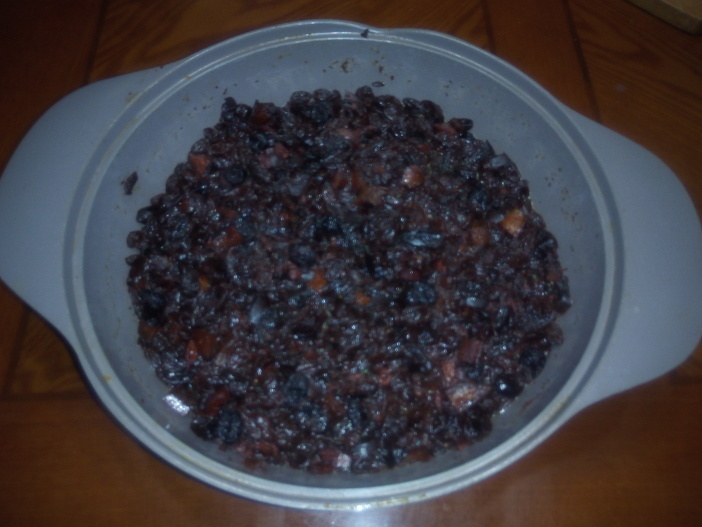 When you have lined all the holes, put a spoon or two of your mincemeat in, then put lids on the pies. Push it down at the edges to make sure the lid sticks to the base. 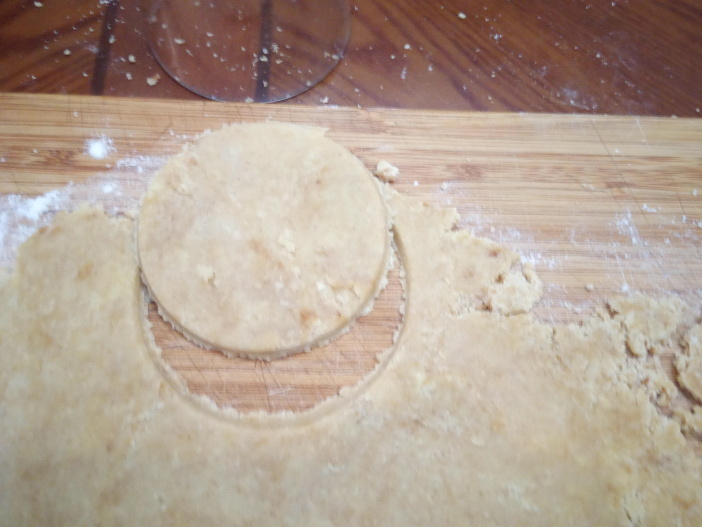 Then with a sharp knife poke two holes in the lid (the air will expand when it heats and bust open your pie if you don’t.) Finally beat an egg in a bowl, and brush the top of each pie with some egg. Then it all goes in the nice hot oven, for 20-25 minutes. 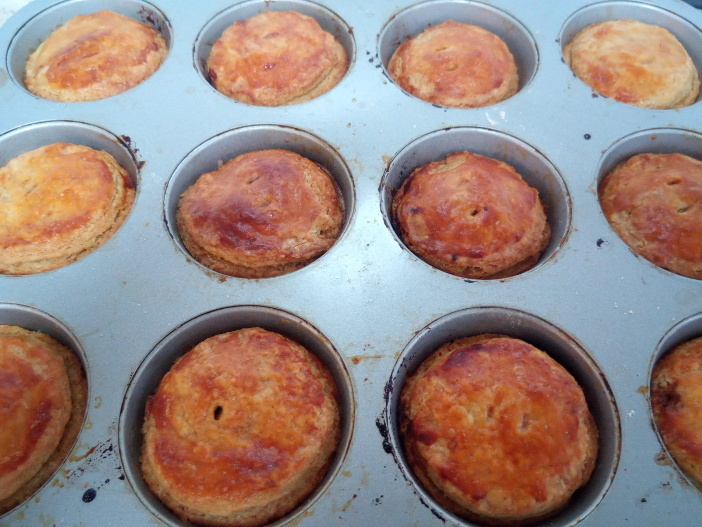 When the pies come out of the oven, take them out of the tin, and leave them to cool (on a rack if you have one, but a plate will do.) 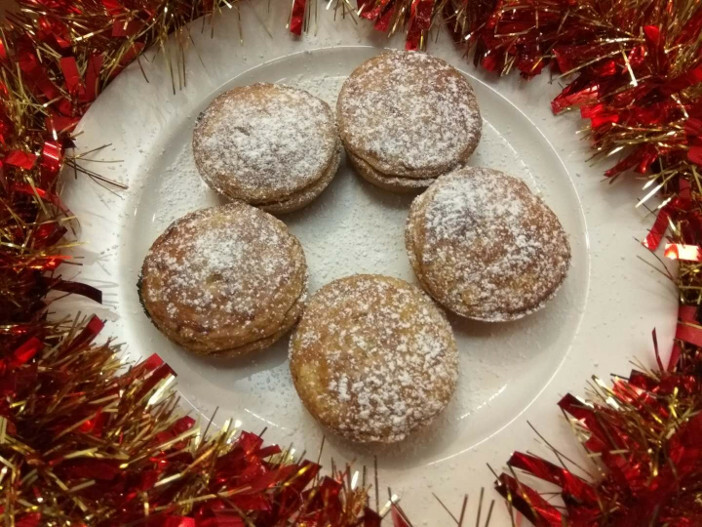 Or just eat them hot, with a dash of cream or ice cream, and a glass of mulled wine. Because it’s Christmas, after all.